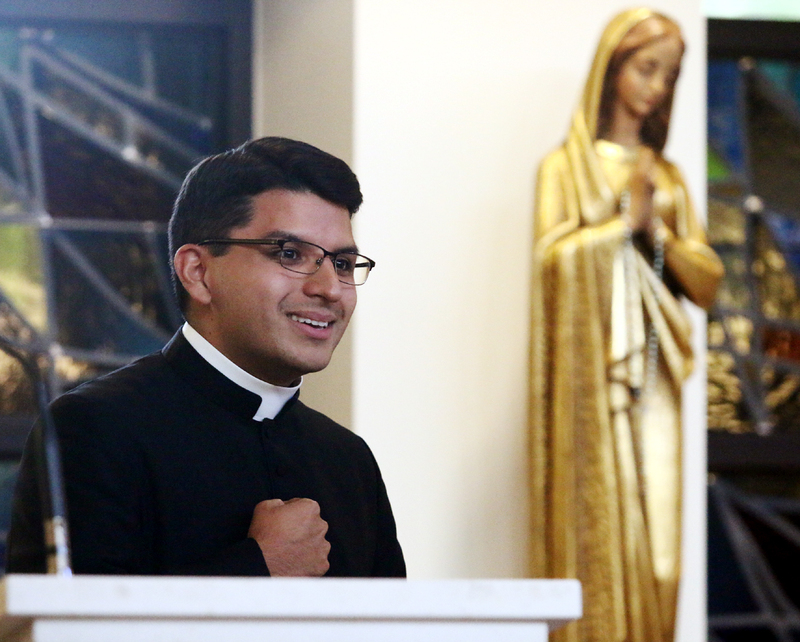 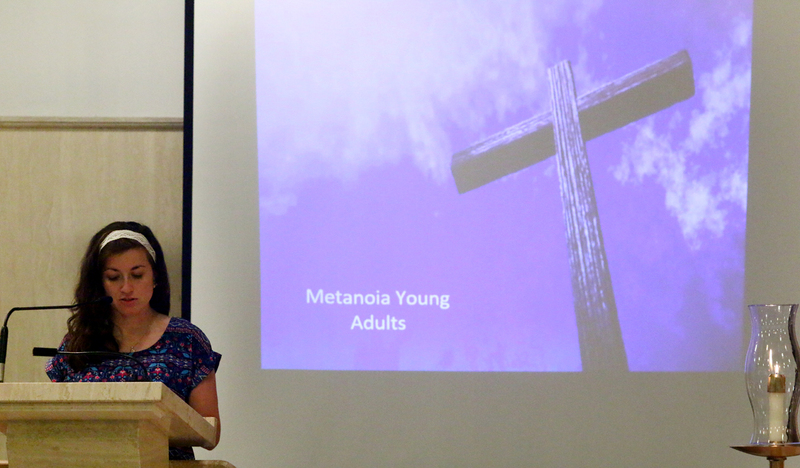 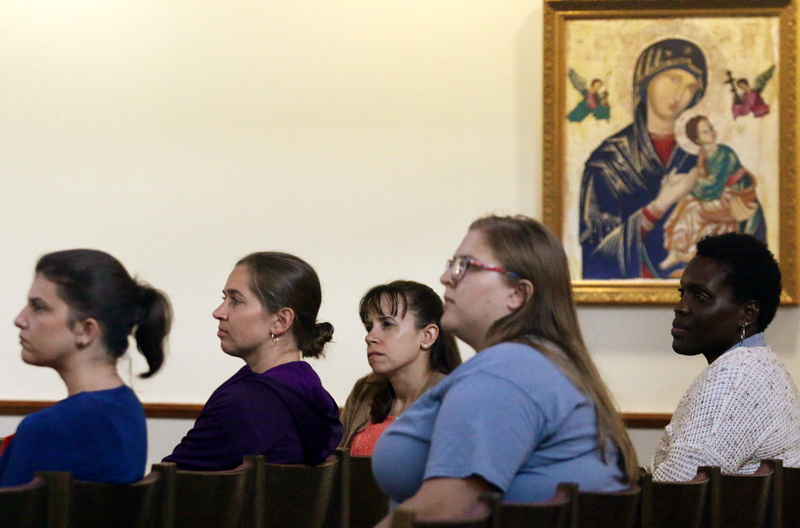 Marco Casanova, a seminarian at St. Charles Borromeo Seminary, speaks at the Metanoia retreat. Deacon Edward Hinson carries the Blessed Sacrament from the chapel for the procession. 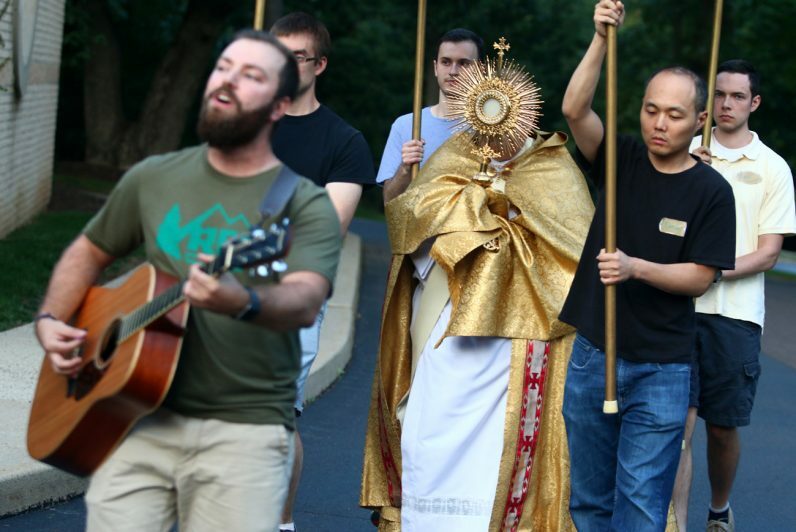 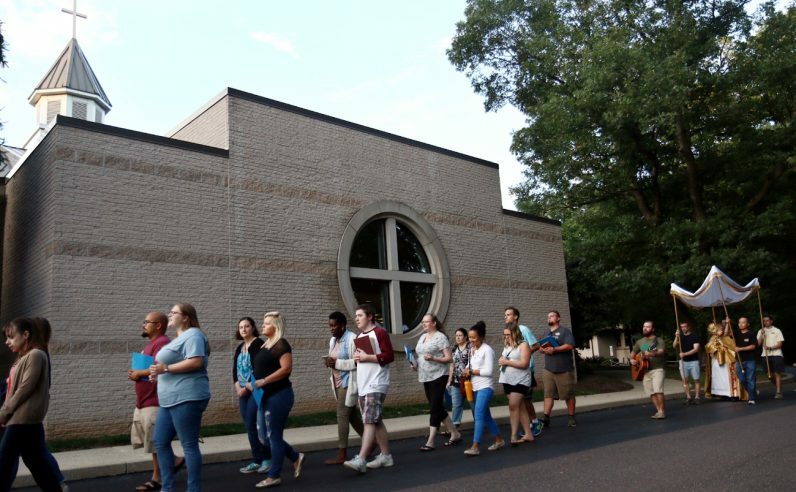 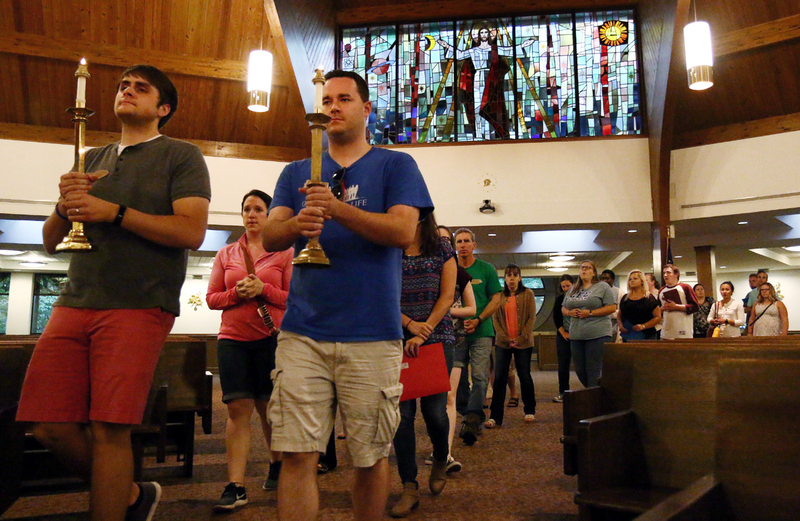 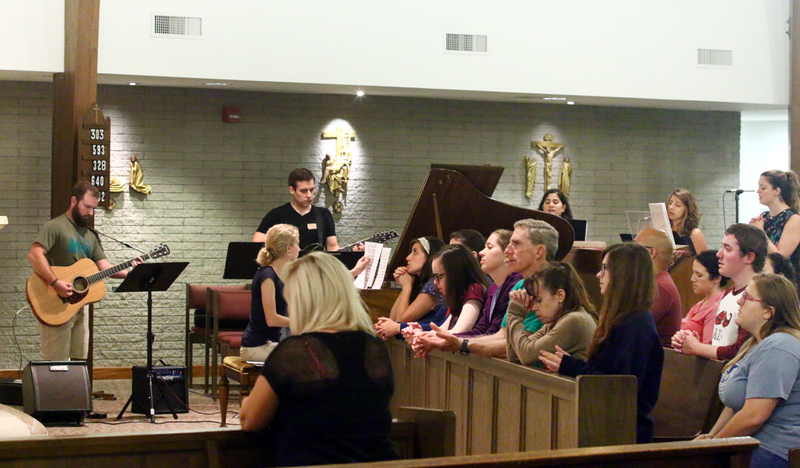 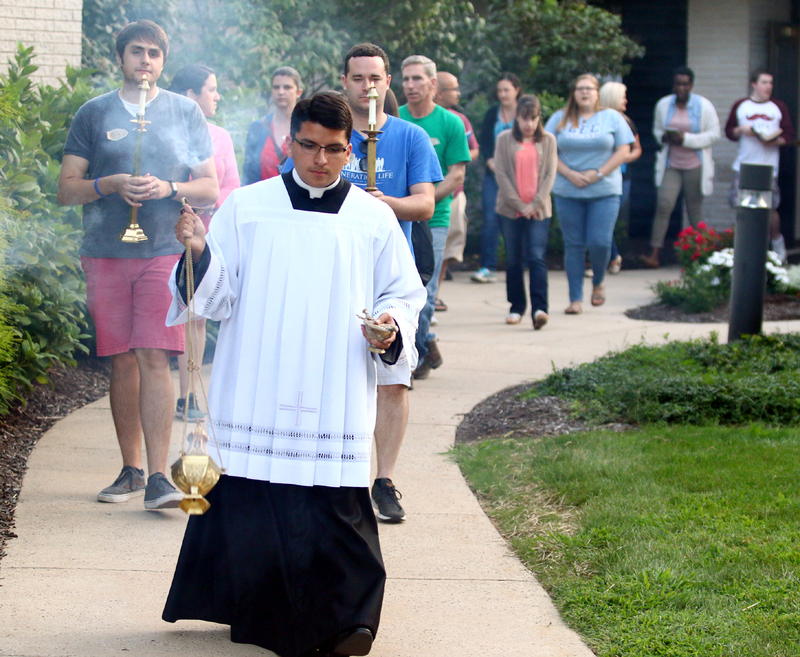 Marco Casanova leads the eucharistic procession from the chapel to the church at St. Eleanor Parish in Collegeville. 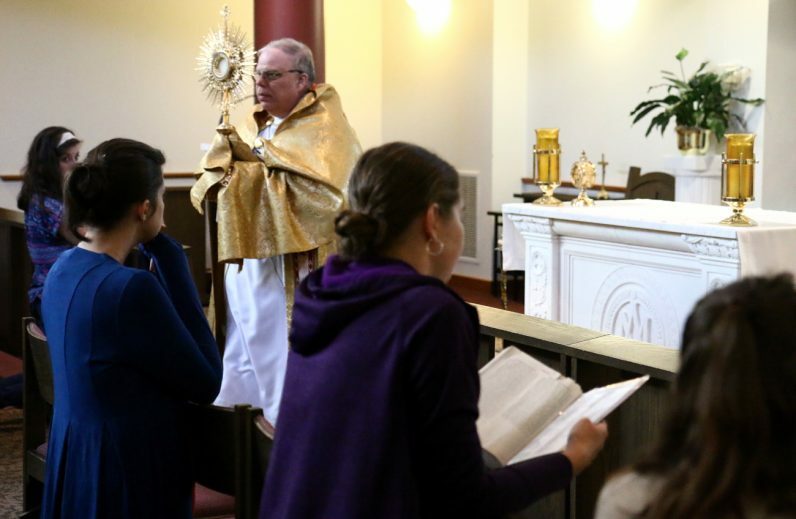 Deacon Edward Hinson leads adoration. 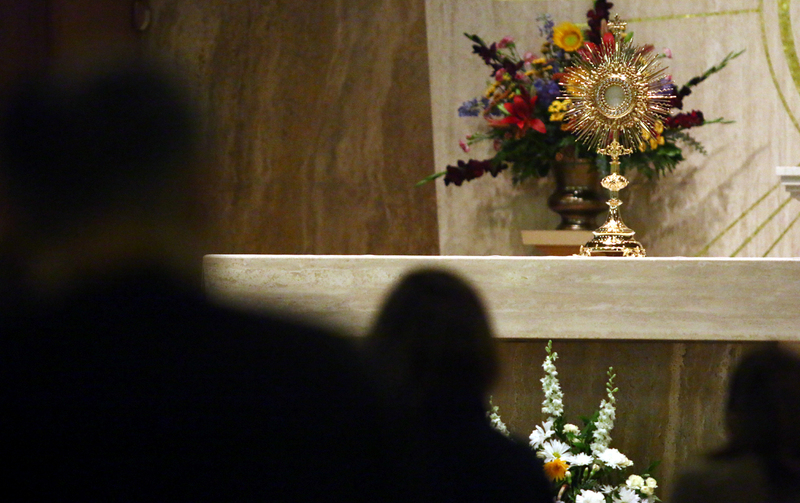 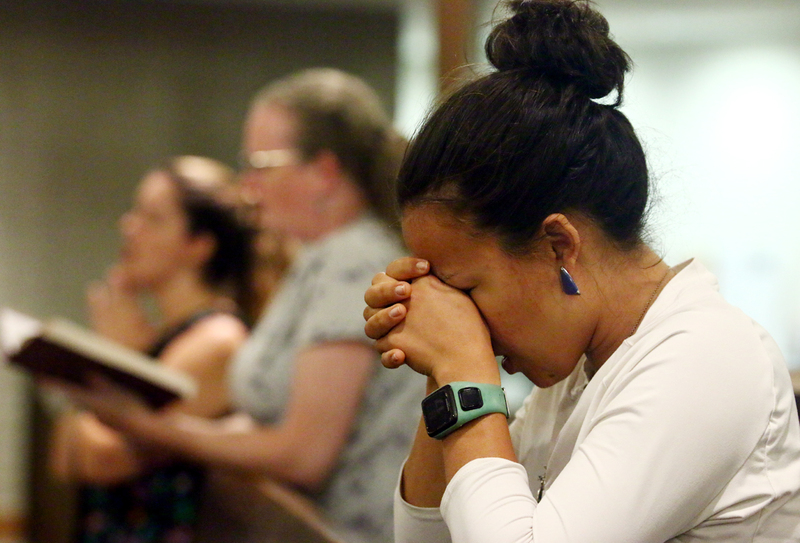 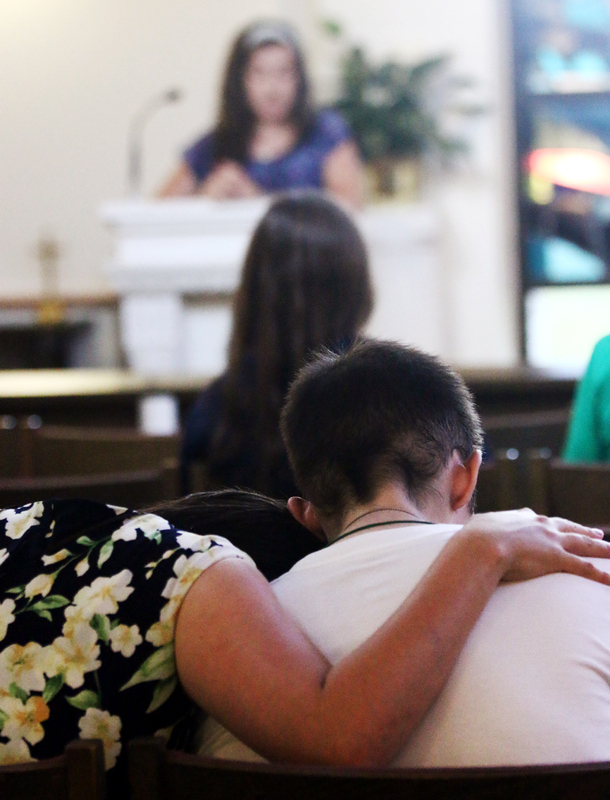 Mollie Mares from Mary Mother Redeemer Parish in North Wales reads a passage from Scripture during adoration. 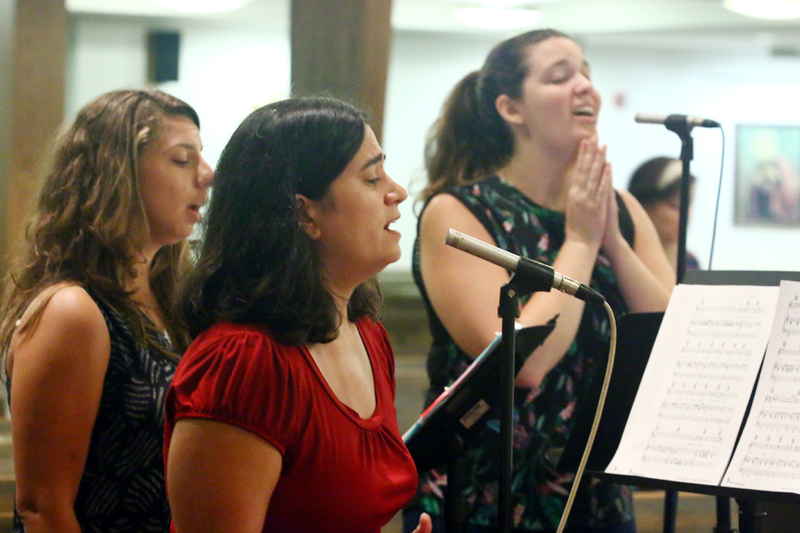 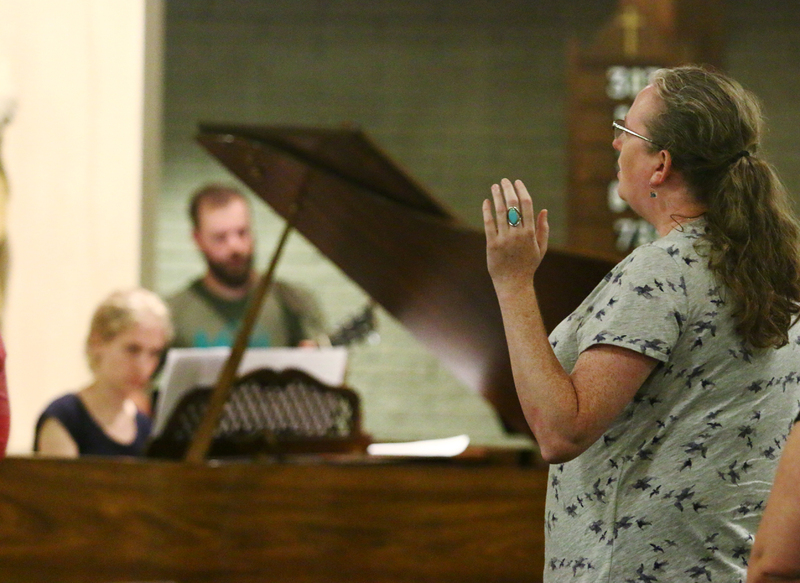 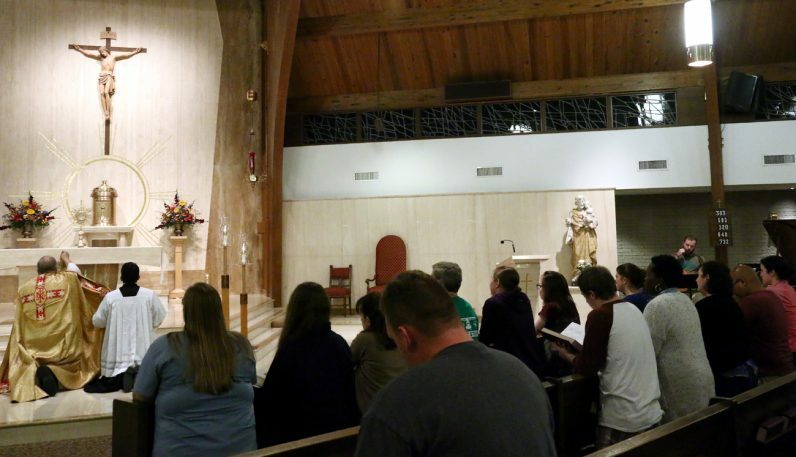 Ashley Carlson from Corpus Christi Parish in Lansdale. 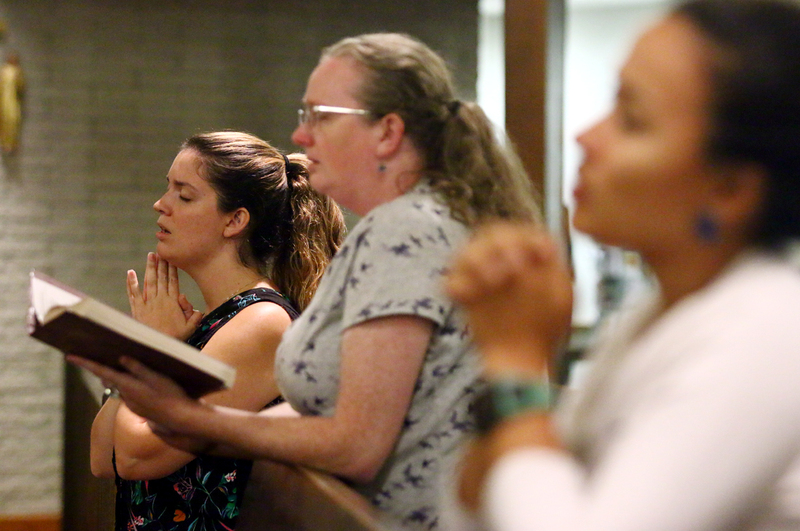 Laura Lara of St. Agnes Parish, West Chester.